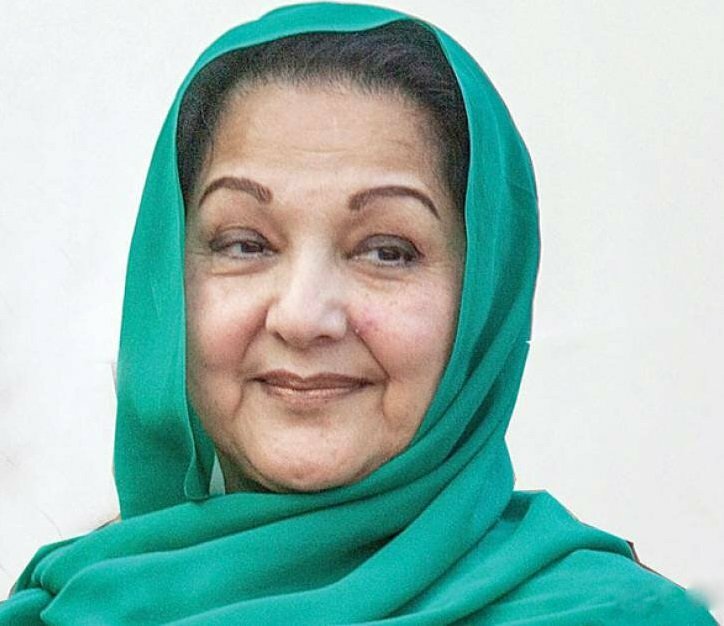 LONDON: Former Premier Nawaz Sharif’s wife Begum Kulsoom Nawaz passed away on Tuesday. Begum Kulsoom had been battling with lymphoma (throat) cancer since August 2017 and was under treatment at London’s Harley Street Clinic since June 2014. According to reports, her health deteriorated last night after which she was placed on life support earlier today. “She had been responding well without the ventilator until last night,” said the hospital sources. Pakistan Muslim League-Nawaz President Shehbaz Sharif has confirmed the news of former first lady’s death. While talking to media in London, Hussain Nawaz said that the burial rites of his mother will be offered in Raiwand on Friday. The Sharif family’s jailed members, Nawaz, Maryam and Safdar, have been informed about the death of Begum Kulsoom. They will get parole to attend the funeral of the former first lady. According to family sources, the Kulsoom’s burial would be offered in Pakistan. Begum Kulsoom Nawaz was born in 1950 into a Kashmiri family in Punjab and was a grand daughter of Gama Pehlwan. She was graduated from Forman Christian College. Nawaz and Begum Kulsoom married in 1971. Political leaders and celebrities from all over the world have condoled the death of the former first lady. Prime Minsiter Imran Khan has expressed ‘deep sorrow over the sad demise of Begum Kulsoom Nawaz’. The prime minister also said that all facilities would be provided to the family and heirs of the deceased lady as per law.